Reading body language is something we all do, consciously and unconsciously. Sometimes it can be a lot of fun, I'm sure we could all agree that the art of flirtingis an incredibly engaging pastime. Now, precisely because flirting is such a celebrated and rich field for body language, coupled with the fact that it is something we can all relate to, I'm going to talk about the meaning and role of eye contact in this area. Body language is a form of non-verbal communication, also known as a para-language. It accounts for the majority of any human interaction, and believe it or not, a study at UCLA deemed thatnon verbal body language cues account for over 93% of all communication in a given conversation. So, the next time someone gives you an "uneasy" feeling, or you walk away feeling uplifted or interested, pay close attention to what you picked up from his/her body language. The first step to understanding why you have a hunch about someone, or a particular feeling, is to recognize that while you were consciously engaging in verbal communication, another conversation (a far more honest one) was taking place unconsciously beneath the surface. Softening of the eyes (Doe Eyes) - Can indicate relaxation, trust and sexual desire, especially when accompanied by dilation of the pupils. Staring - Can mean many different things, and is difficult to pin down without the appropriate context. Here are some potential meanings. Focused Long Eye Contact - Love or aggression. Focused Short Stare - Interest but is unwilling to be rude, or could be shy. Unfocused Long Stare - They aren't actually looking at you, and are either daydreaming or thinking to themselves. Long Stare with little blinking - Usually indicates a high degree of interest. Squinting - If you are sure they aren't reacting to luminosity, then squinting signifies evaluation. They're figuring something out! Rapid Blinking - Interest or desire can cause rapid blinking because of excitement. Flashing or fluttering eyelashes has now become a quintessential example of a romantic invitation. The Pupils - The hard part here is to isolate environmental factors. A bright day will naturally cause our pupils to contract. Nevertheless, dilated pupils are almost universally accepted as a declaration of interest. It is also a signal of romantic desire. Conversely, contraction of the pupils isn't a great sign! 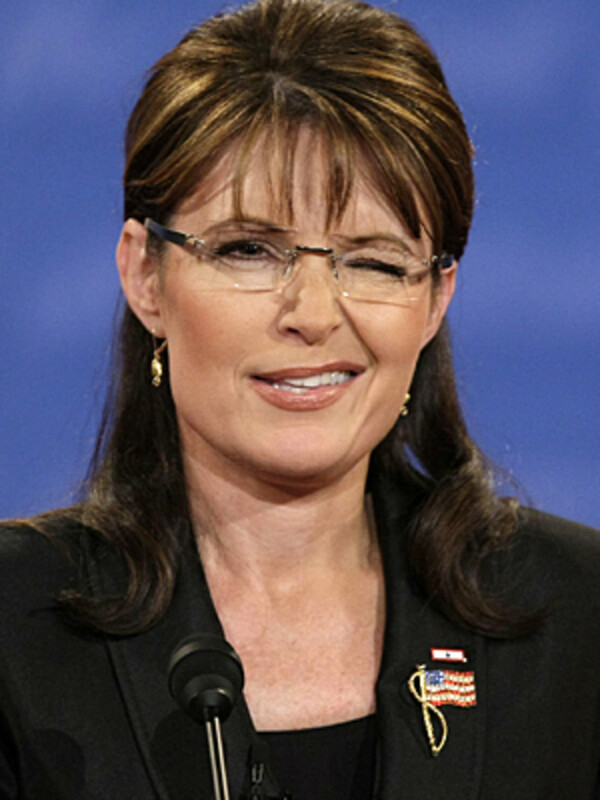 Winking - Is an attempt to tie a knot between two people. It suggests that you share something, usually signifying the person is interested in you. Illustrated explaination on the theories of eye movements and their relation to deception. Its time to teach yourself body language! 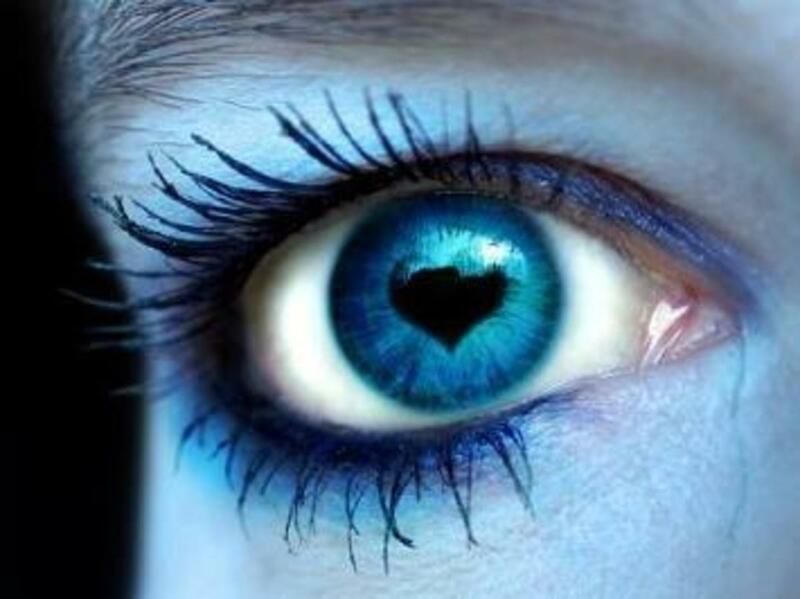 It is often said that the eyes are a mirror unto the soul. I can't help but wonder whether whoever decided to spread this particular truism had an advanced knowledge of neuro linguistic programming, because ultimately it is unquestionably true when it comes to body language. A quick-glance reference when looking at someone. We're done with the theory, I promise! But it is absolutely worth remembering. Let us picture a scenario and see what we can do with it. 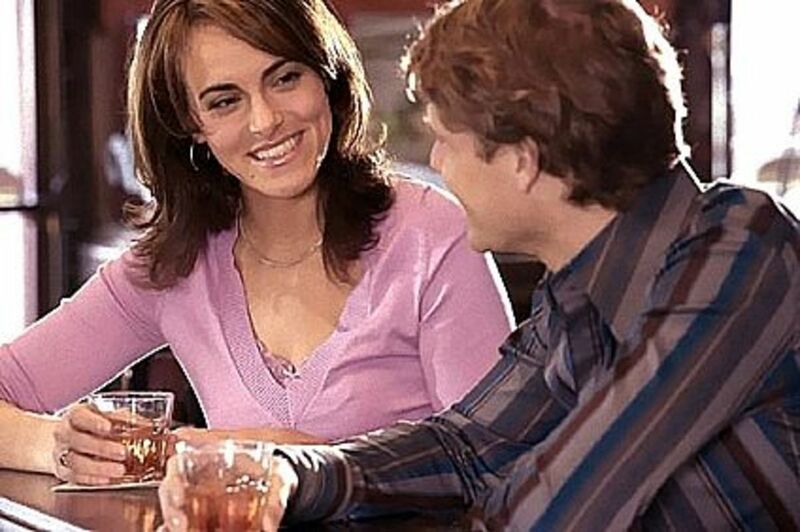 You're sitting at a bar and casually flirting with someone you are interested in, but you are worried that he is prone to exaggeration or flat-out lying in order to aggrandize himself. 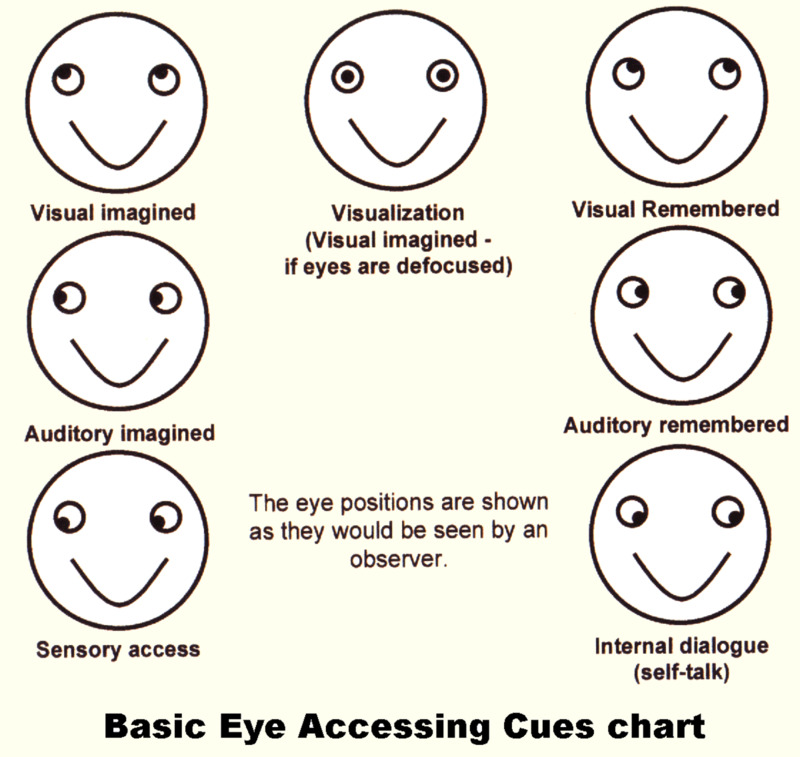 You can use visual accessing cues to get a better idea of what he is thinking. So, let us assume he is talking about his sporting achievements, the idea is for you to ask a simple question such as "did the crowd cheer when you won?". Notice his eye movement (sometimes it can be difficult if he has his eyes planted on you -- but all it takes is a flicker) if his answer is preceded by a movement to the upper right of his eye, he is accessing his imagination, and he is probably lying. One word of warning, bear in mind that this process is reversed when dealing with a left-handed person! Do not use this as a be-all-and-end-all, because results may vary, but it can be a great way for you to get a quick idea. Police officers are generally taught these techniques to help them interrogate, but there is reasons you cannot be incriminated with them! © 2011 Thooghun - All rights reserved.